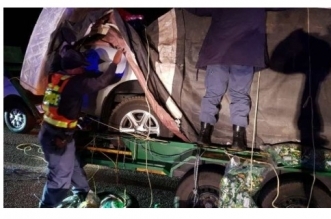 These photos taken yesterday night are of some hardworking omalayitshas from South Africa covering what has now been confirmed to be a stolen car with cheap groceries in a bid to take the concealed four by four Ford Ranger twin cab to neighbouring Zimbabwe. 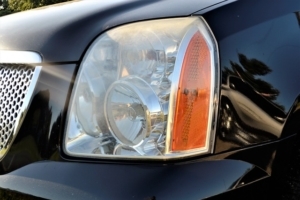 Police in South Africa on Tuesday night(August 14th) intercepted a Zimbabwean cross-border transport operator, popularly known as malayitsha, trying to smuggle a stolen Ford Ranger into Zimbabwe. 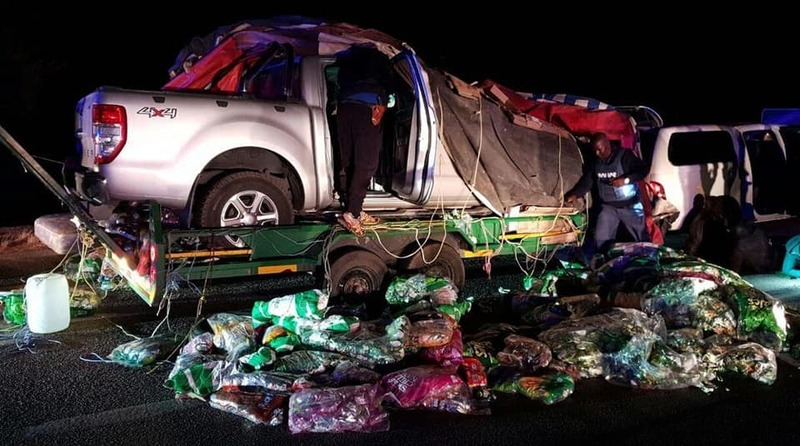 The Ford Ranger was allegedly stolen in Gauteng-Johannesburg area – had been loaded onto a trailer, which was being pulled by a white pick-up truck. 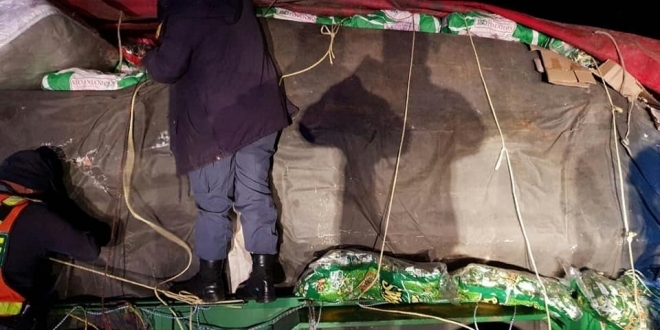 To disguise the stolen cargo, bed linen, maize meal, snack packs (jiggies) and a heavy-duty sail were tucked on the sides, back and top to give an impression that the trailer was filled with everyday groceries andgoods. 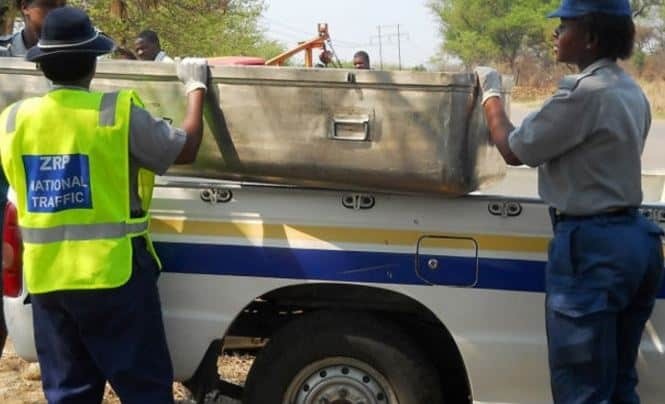 Police made the find when they stopped the pick-up truck at Westenburg, just outside Polokwane in Limpopo Province, South Africa. 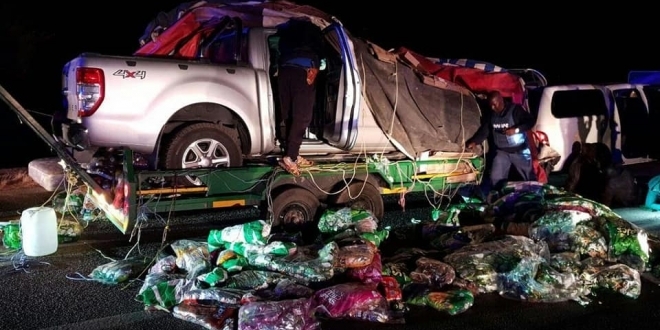 Cars have been smuggled across the Limpopo rivers in various ways and this is first time for local police to discover a stolen bakkie wrapped in “snacks” en-route to Zimbabwe.